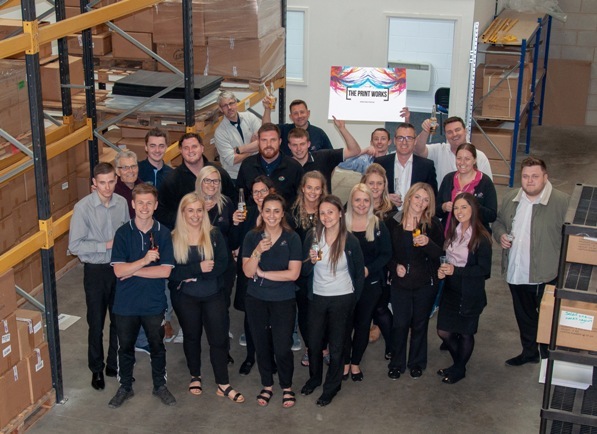 A West Yorkshire-based manufacturer of promotional items has expanded into a larger warehouse to accommodate further company growth. Having committed to a four-year lease, Cleckheaton-based LSi will now see its 40-strong workforce split across its existing site and the new warehouse. Based at Middleton Court business park, Cleckheaton, the 16000 sq. ft. warehouse has allowed LSi to double its space from its 8000 sq. ft. headquarters based just two miles away. Established in 1994 by Lloyd Simpson, LSi started as a family business from small serviced offices in Cleckheaton and has since grown to one of the largest promotional merchandise specialists in the UK.The firm has remained in the local area ever since, having purchased its own premises at Braemar House, a 19th century Vicarage. The company has also invested £150,000 in new machinery which includes the latest digital UV print technology, laser cutting and Direct to Garment printing (DTG). The new equipment will increase the firm’s efficiency seven-fold to support increased manufacturing and personalisation of LSi’s unique range of products, which include power banks, notebooks, and gift boxes. The expansion comes as the multi-award-winning firm plans to dominate the B2B promotional merchandise and corporate gift market and grow its consumer audience via its subsidiary companies. Managing director Lloyd Simpson said: “My team and I are incredibly pleased to have been able to increase our work space, allowing for more and better manufacturing equipment and the opportunity to embrace a whole host of new production methods and techniques. “Since we launched our subsidiary company, Personalised Powerbank, last year, we’re seeing significant growth in personalised orders for the consumer market.